We now enter planning for Week 7, with many of you contending with an agonizing collection of lingering injuries, or disconcerting results from the backs that you originally believed would be among your most dependable performers. 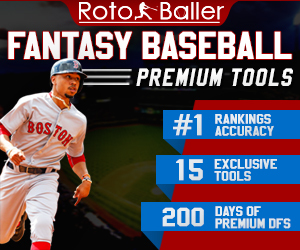 While this has been frustrating, it is essential that you manage your emotions, avoid making impulsive decisions, and utilize the abundant resources that we offer at RotoBaller. That will improve your chances of making the most effective roster adjustments due to disappointing performances, production-inhibiting timeshares, or injuries. For the next six weeks, this can also involve replacing any backs that are unavailable during their bye weeks. 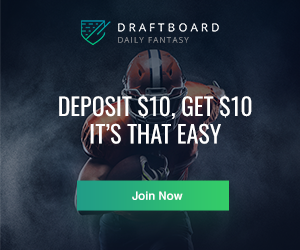 That factor will apply to even more of you this week, as we encounter the first bye week in which players from four teams - the Packers, Raiders, Seahawks, Steelers - will not be available for your lineups. As a result, anyone who owns James Conner, Marshawn Lynch, Aaron Jones, Ty Montgomery, or Chris Carson will be impacted by their absence in Week 7. 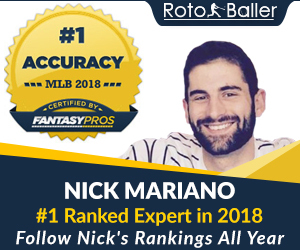 But regardless of why you are now considering your waiver wire options, this article will assist you in locating the best players to target. These recommended options will appear in three tiers - beginning with the most enticing and progressing to runners that are available if you are contending with desperation. You will also find a group of backs that can be dropped in order for you to secure your replacements. Here are this week's most viable waiver wire options at the running back position. Even though potential owners have consistently demonstrated a thorough lack of enthusiasm for including Gore on their rosters, his outstanding Week 6 performance should eviscerate any lingering concerns. The 35-year old continued to defy pre-season expectations in Week 6 by rumbling for 101 yards, while averaging 6.7 YPC against a Chicago run defense that entered the matchup allowing a league-low 64 YPG. Adam Gase’s enormous comfort level in the deployment of Gore has enabled the 14-year veteran to accumulate 62 carries, including 38 in Miami’s last three games (12.6 per game). which easily exceeds the usage for Kenyan Drake (22 attempts). Gore has also run more effectively during that three-game span, accruing 205 yards, and averaging 5.2 YPC, while Drake has manufactured 106 yards, and averaged 3.7 YPC. Gore’s respectable workload has diminished the uncertainty of wildly fluctuating point totals, and eliminated the likelihood of a dangerously low floor that exists with other waiver wire options. This should compel more owners to secure him this week. 76% of owners have shunned the opportunity to add Mack to their rosters, and his protracted hamstring issue certainly has been a factor. But he overcame a bobbled screen pass that occurred early in the Colts’ Week 6 matchup with the Jets to assemble 89 yards with his 12 attempts (7.2 YPC), while infusing a level of elusiveness that had been missing while Jordan Wilkins was functioning as the team’s primary rusher. Wilkins commandeering the majority of carries. Wilkins had only eclipsed 40 rushing yards once all season and did not register a touch in Week 6, while Nyheim Hines’ three targets represented a notable decline from his season-long average (7). Blend in the shoulder injury that was sustained by Robert Turbin, and Mack has quickly become the most viable option among Indianapolis running backs. While his production may be inconsistent, he is now positioned to make an impact on the Colts season and can be a valuable addition for owners. Entering the season, there appeared to be justification for believing that Murray would seize a reasonable workload as the Vikings' short-yardage specialist, who would also receive coveted red zone carries. But the additional enticement for owning the former 1,000-yard rusher was the potential for significant value if Dalvin Cook encountered another health issue. However, Murray had failed to capitalize on his opportunities when Cook was limited to just 125 snaps during Minnesota’s first five contests (98 yards/2.7 YPC/0 touchdowns). But when Cook was sidelined yet again in Week 6, Murray’s production improved enormously, as he bolted for 155 yards and a touchdown on a season-high 24 attempts (6.5 YPC). His value is bolstered even further by the minimal usage of Roc Thomas (1 touch), after the undrafted free agent had appeared to be lurking as a threat to siphon touches. Murray has been reestablished as a viable roster component, who can boost his owners' scoring totals amid Cook's ongoing struggles to re-enter the field. In the aftermath of Devonta Freeman's exodus to IR, the value of both Tevin Coleman and Smith has elevated considerably. But Coleman's ownership of 92% will not provide an opportunity for man owners to target him on their waiver wires, while Smith is an enticing option in nearly every league. The Falcons' fourth-round draft pick did not register a touch in Week 1, but quickly received an expanded workload in Weeks 2-4 (9 touches per game) while Freeman was contending with a sprained MCL. Smith averaged 46 total yards during that span, then manufactured a touchdown in Week 5 despite Freeman’s return. But after a bone contusion quickly concluded Freeman’s short-lived reemergence in Week 6, Smith performed on 46% of the Falcons' offensive snaps, garnered more touches than Coleman (13/11) and recorded a touchdown for the third consecutive game. He should now receive a sizable workload for the remainder of the year, even though he will be sharing opportunities with Coleman. This entrenches him as one of the primary targets among this week's waiver wire options. Mostert entered Week 6 with a grand total of 47 yards on 13 attempts since his professional career began in 2015. But his tenure as an unknown commodity has quickly ended, after he instantly launched into the fantasy landscape during San Francisco’s Week 6 matchup in Green Bay. The fact that Mostert was allotted 12 carries by Kyle Shanahan, while Alfred Morris officially registered none, should present enough justification for adding him. When you combine that with the surprising effectiveness that he displayed while generating 87 yards on 12 attempts (7.3 YPC), then you have sufficient rationale for seizing Mostert with the same swiftness that he entered the fantasy radar. 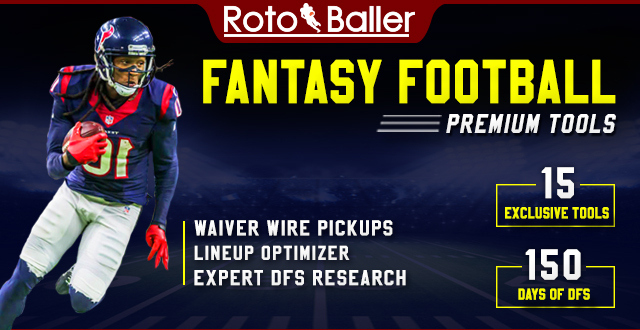 He appears to have elevated beyond Morris into RB2 responsibilities, and should be among your targets among this week’s collection of waiver wire options. Barber had been presented with the opportunity to become an unchallenged feature back during the Buccaneers' initial five contests, but his underwhelming results (148 yards/3.0 YPC/0 touchdowns) provided the potential for Ronald Jones to confiscate a sizable workload. But when the team re-emerged after their Week 5 bye, Barber dominated the workload, as he commandeered 17 touches, while Jones was relegated to a miniscule four. Barber also generated a season-best 6.3 YPC, while also establishing a season-high 82 yards on the ground. Offensive coordinator/play caller Todd Monken also deployed Barber more extensively as a receiving option, as the third-year back recorded season highs in targets (4), receptions (4), and receiving yards (24). While the workload distribution could be altered in upcoming weeks, Barber is still operating as Tampa Bay's primary back, which should encourage you to target him among your roster additions. The elusive third-year back presents owners in PPR leagues with a benefit that many other potential RB3/Flex options cannot provide, as he has been utilized in a consistent role as his team’s receiving back. While Marshawn Lynch has been supplying the foundation of Oakland’s ground game, Richard has repeatedly been utilized as the Raiders’ pass-catching specialist, who becomes increasingly involved whenever the team is trailing in their games. In Week 6, he led Oakland in targets (8), and receptions (7), a game script resulted in a deficit throughout their matchup with Seattle. It was also encouraging that Jon Gruden did not perpetuate his strange dedication toward entrusting Doug Martin with carries in Week 6, which could bode well for Richard elevating beyond the ineffective Martin into an RB2 role. He is currently tied for fifth among all backs with 31 receptions, tied for seventh with 37 targets, and could experience a mammoth increase in responsibilities if Lynch's emerging groin injury forces him to the sidelines. All of which should compel owners to seize Richard this week, for use once the Raiders return from their Week 7 bye. Foreman is not expected to be activated from the PUP list this week, but the Texans now have three weeks to determine whether to place him on the active list, or on injured reserve. It also remains unclear how effective he can perform when he does return. That is a consequence of the uncertainty that surrounds his recovery from the Achilles injury that occurred last November. However, none of this will alter the fact that Lamar Miller has been unimpressive (73 carries/271 yards/3.48 YPC), nor does it raise the ceiling that perpetually exists with Alfred Blue (56 carries/188 yards/4.0 YPC). Foreman should immediately become a candidate for short-yardage situations, including the coveted goal line opportunities, and the potential exists for him to procure a more substantial role. It is conceivable that this situation could also evolve into an unwanted timeshare that would deliver largely production inhibiting results. But there is nothing in the collective performances of Miller and Blue that should discourage you from stashing him on your roster if you can accommodate that move. Johnson continues to subsist in a congested backfield while laboring under the guidance of a coaching staff that has failed to demonstrate the resourcefulness to utilize him effectively. But, it remains difficult to dismiss his talent or his track record of production. As a result, he remains worthy of a roster spot, in hopes that his opportunities will increase. He has only received three touches during the Browns’ first six games, but has now exceeded 40 total yards in three straight games. That includes the 73 that he accumulated on just six touches in Week 6 against the Chargers. His ability to manufacture yardage should not be surprising, since he finished at RB11 in PPR leagues last season, while also averaging respectable numbers as a receiver from 2015-2017 (80 targets/63 receptions/580 yards). There is sufficient rationale for investing in his proven talent now, in hopes that his opportunities are destined to increase. Even though an average of three touches per game would normally preclude a back from consideration as a roster addition, the vast majority of runners do not possess Chubb's enormous degree of talent. He has averaged at least 7.0 YPC in five of the six games in which he has played, and his explosiveness continues to provide justification for believing that he will eventually procure a much larger workload before the season progresses much further. Meanwhile, even though Carlos Hyde has performed reasonably well, he has only exceeded 3.7 YPC in one contest all season, while also failing to surpass 2.8 YPC three times. This would suggest that Hyde could be susceptible to losing touches in any given week, and Chubb’s potential to be a difference maker should eventually compel Cleveland’s offensive decision makers to place the ball in hands with greater frequency. That keeps him locked in this column as a roster stash. It is difficult to understand how anyone who owns Williams could be shocked that Aaron Jones has performed more efficiently since his return from suspension, as the 3.6 YPC that Williams averaged in 2017 should have provided a cautionary tale for anyone who was tempted to draft him. Through Green Bay's first four games this season, his average was actually worse (3.4), and even though he manufactured a highly uncharacteristic 5.5 YPC in Week 5, that still could not match the 6.1 YPC that Jones has generated since his return. While events in their Week 6 matchup on Monday Night San could alter this backfield equation, anyone who rosters Williams remains at risk that Mike McCarthy will finally endorse the notion that Green Bay needs to have its most effective runner in their lineup with greater frequency. Even if McCarthy remains committed to keeping Williams involved at a percentage that closely resembles the usage of Jones, Williams remains an inefficient back, who will not provide owners with enough fantasy points to start him. When Jones finally entered the field for his first NFL game in Week 4, his output was certainly not impressive (10 carries/29 yards 2.9 YPC). However, that did not appear to be problematic for his outlook, because Peyton Barber’s production during Tampa Bay’s first five contests was also uninspiring. But even though this appeared to provide a path toward greater responsibilities for Jones, the aforementioned usage and production of both backs (Barber 17 touches/j106 total yards) (4 touches/19 total yards) reinforced Barber’s role as the team’s primary back, while owners who had anticipated a boost in opportunities for Jones was presented with a highly discouraging outcome. Jones remains deficient in the various requirements that are necessary to function as a professional back, which has resulted in Dirk Koetter's reluctance to entrusted him with a larger number of touches. 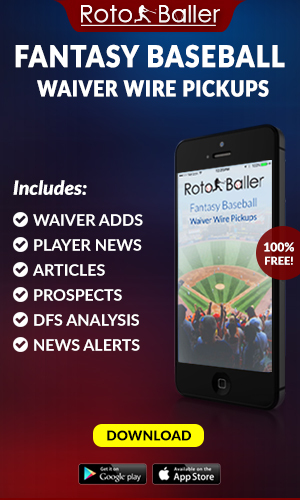 That should encourage owners to locate a more favorable alternative for their rosters. The concept of placing your confidence in a Seattle running back has been unsettling at best. Primarily due to the extreme difficulty in trusting Pete Carroll to make logical and consistent decisions regarding the deployment of his backfield. We appeared to have the ingredients for a workload distribution that would have provided owners with a sizable comfort level, when Chris Carson carried 51 times for 228 yards in Weeks 3 and 5), while Davis performed effectively as an RB1 during Carson’s Week 4 absence (21 touches/124 total yards), then accumulated respectable numbers upon Carson’s Week 5 return (12 carries/ 68 yards). But just as it appeared that Davis had become the Seahawks' unchallenged RB2, he carried just six times for 21 yards in Week 6, while Rashaad Penny shockingly resurfaced to procure 11 touches, and accumulate 70 total yards. Davis’ presence in the fantasy landscape has faded with the same swiftness that initially appeared, and he is now droppable.